Call it a 'Whiskey Ginger,' a 'Jameson and Ginger,' or an 'Irish Buck,' they are essentially the same great drink. 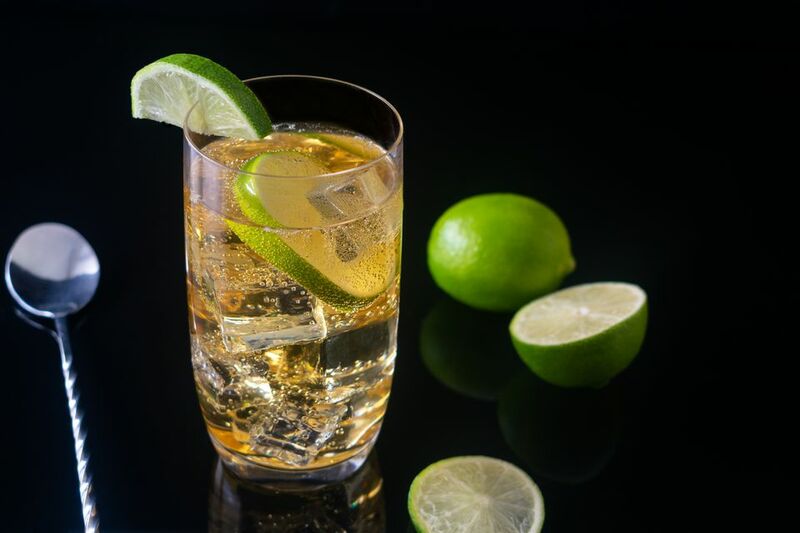 It is one where a fine Irish whiskey is mixed with ginger ale to create a tall, refreshing drink, much like the Leprechaun or the classic Highball. The combination of any whiskey with any light soda is hard to beat. These drinks are easy to mix up at a moment's notice, they are budget-friendly and, quite simply, a perfect flavor combination. If you are seeking an easy way to casually enjoy your favorite Irish whiskey, then either of these two recipes is perfect! The Jameson and Ginger are simple and exactly what it sounds like Jameson Irish Whiskey and ginger ale. It is an easy way to display Jameson in a semi-sweet, tall drink that is pleasant, very easy and relatively cheap (and we love that!). The lime squeeze is essential as it is that finishing touch that marries the whiskey and soda perfectly. The type of Irish whiskey you are using. Whether you want to use ginger ale or ginger beer. Ginger ale is most common in these mixes though if you want to add a nice ginger kick to the mix, choose a spicy ginger beer instead. Bushmills' Irish Buck With Ginger Beer: Pour a shot of Bushmills Irish whiskey into a tall glass filled with ice and top with ginger beer. Cocktail enthusiasts have been looking to the past for inspiration for some time now and one of those inspirations includes the buck "cocktail family." A buck drink is defined as having a base spirit, ginger ale or ginger beer, and citrus (generally in the form of a lime squeeze). The Dark and Stormy and Moscow Mule are both classic examples of the buck family (the word mule is also used to describe these drinks). The Bushmills Irish Buck recipe plays off of this popular style of drink and is, essentially a Whiskey and Ginger with a brand called out. In it, the sweet and smooth taste of the popular Irish whiskey is paired with the spice notes of ginger and just a touch of acid from the lime squeeze. No matter which recipe you choose, there are a few tips that will improve your Whiskey Ginger experience. The Irish Whiskey. Either whiskey, whether it be Jameson or Bushmills, is a great choice both of these drinks, because they have a great flavor and are affordable, so you can feel good about using it in a tall highball. They are both great Irish whiskey picks to keep regularly stocked in the bar. Of course, you could switch the two whiskeys in the recipes above. Simply remember to 'call out' your brand preference when ordering it at the bar. Also, be aware that asking for a 'Whiskey Ginger' may not get you Irish whiskey, but the bar's house bourbon or blended whiskey instead. Be specific and at least ask for an 'Irish Whiskey and Ginger' if that's what you expect to be served. The Lime Juice. Fresh lime juice will make a much better Whiskey Ginger than bottled lime juices, which tend to be too sweet and too tart. This drink should only need the juice from about a half a lime so the other half can either be used as a garnish or to make a drink for a friend. There is also no need for a juicer of any kind. Simply do as suggested in the Jameson and Ginger and squeeze the lime into the drink. Ginger Ale vs. Ginger Beer. The choice between ginger ale and ginger beer is going to be a matter of personal taste and you may find yourself in the mood for one or the other at different times. Both make a great Whiskey Ginger though ginger ale is often preferred because it has a softer ginger profile. If you are in the mood for a snappy drink, get a good ginger beer like those available from Q Drinks or Fever-Tree. How Strong Is a Whiskey Ginger? Either of these recipes creates a relatively tame drink, really no different than enjoying a John Collins or Gin & Tonic. The Irish Buck weighs in at just around 14 percent ABV (28 proof) and the Jameson and Ginger recipe at a mild 10 percent ABV (20 proof) if we were to pour 4 ounces of ginger ale. Go ahead and enjoy the second round.